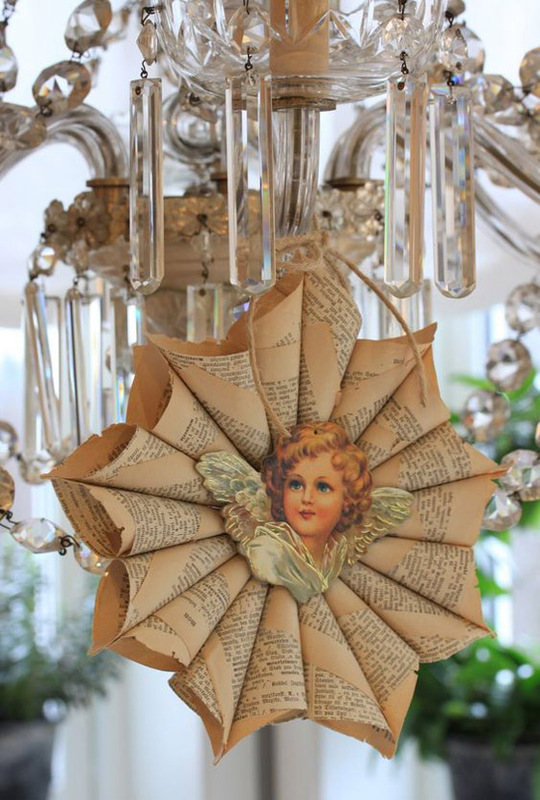 Recycle those old books and pages and turn them into this beautiful Christmas craft. Cut the pages into squares, roll them and form a cone, then create a wreath. Put an Angel cut-out to add beauty to the paper wreath. 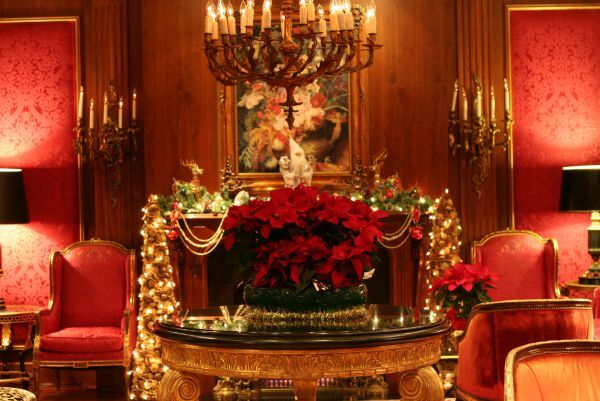 This Christmas decorating ideas is indeed elegant and breathtaking. 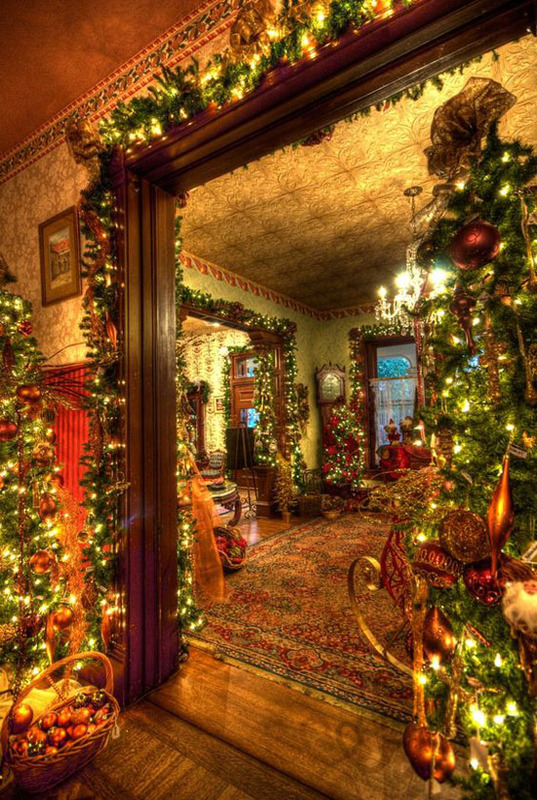 The lighting plus the decorations in traditional colors made this home festive and extravagant. Impress your guests and visitors with this breathtaking dining table decoration. 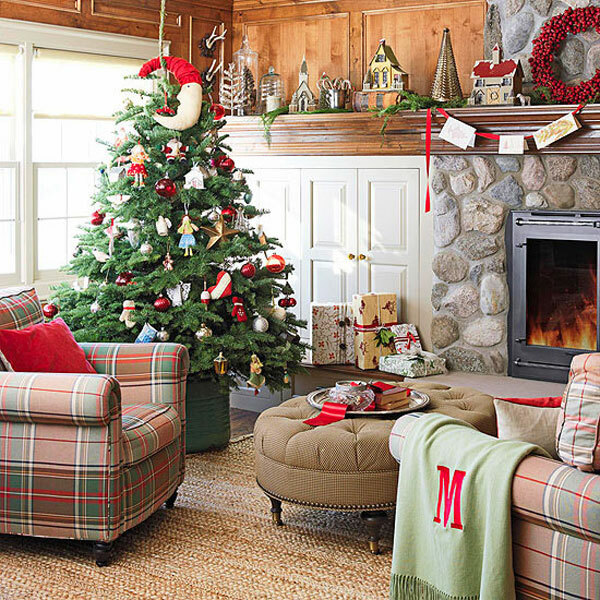 The combination of reds in ribbons and garland and greens in pine needles will give off festive ambiance. If you want to keep it simple yet elegant, you can use traditional colors and decorations. Instead of putting too many colorful decorations, you can just use tableware that will complement with the table setting. 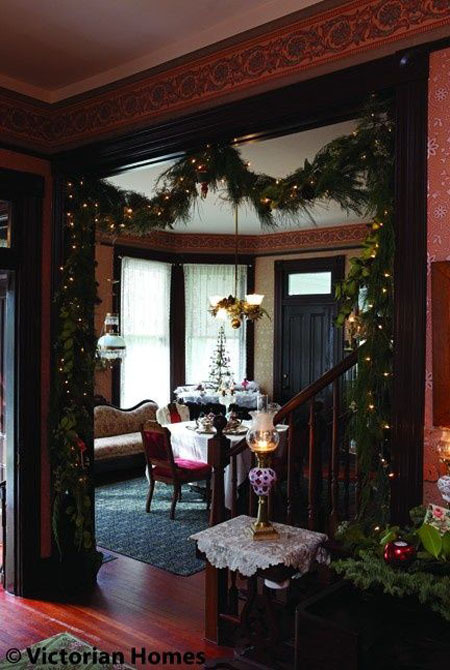 Most of the Victorian era homes use greenery in decorating windows, entryways and staircases. Spruce it up by wrapping greens with Christmas lights. 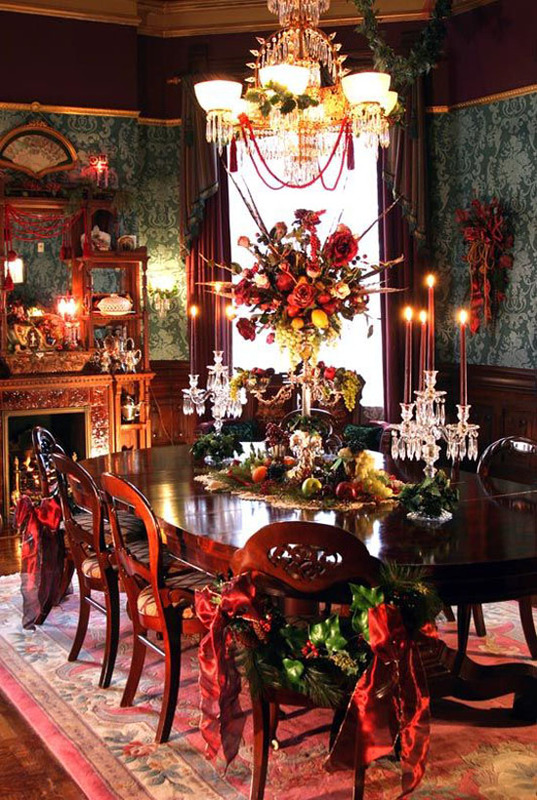 One of the characteristics of Victorian homes is elegance. One can achieve this by using elegant decorations with traditional colors like red velvet, chandelier, poinsettia wreath and garlands. This is one good way to display those vintage toys from Victorian era. 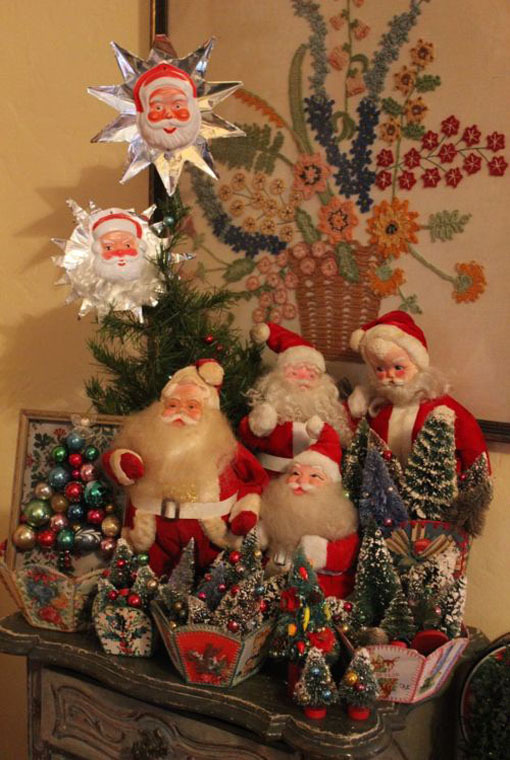 Set a good place in the corner and display old Santa Clause figures together with miniature Christmas trees and toys. 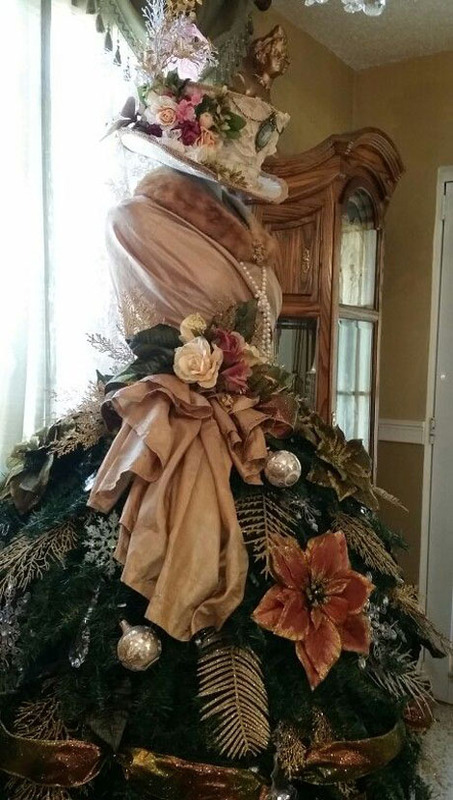 This is truly a magnificent mantel decoration. 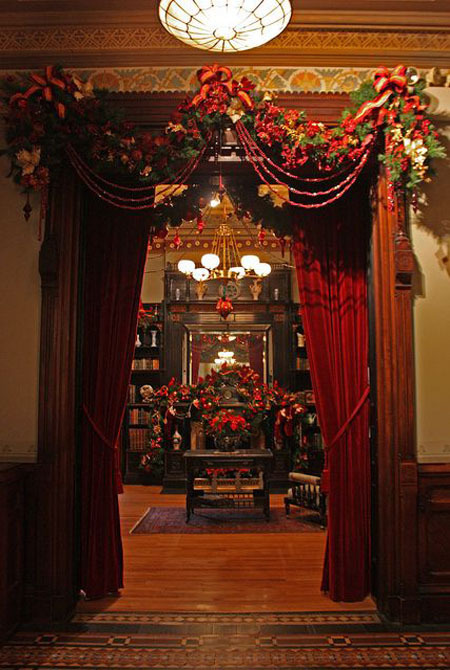 The fabulous garland of greens and poinsettia create the air of elegance. It complement well to the wall and entire setting. 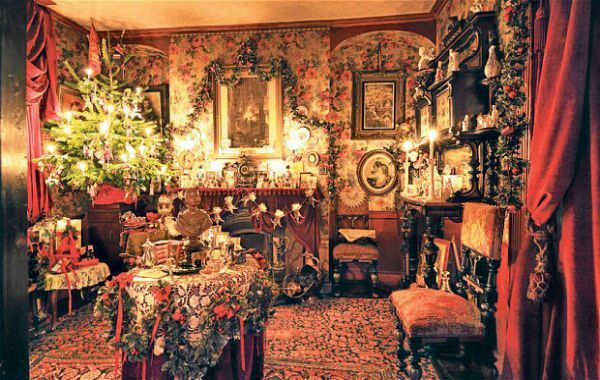 This Victorian Christmas living room is quite breathtaking. 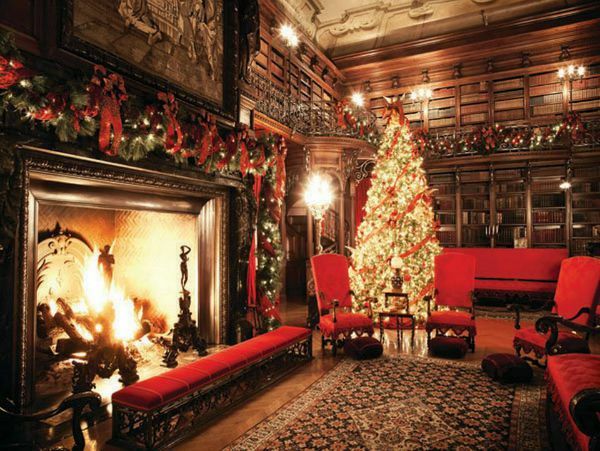 The beautiful Christmas tree and the candles in their holders create that warm and cozy ambiance in the room. 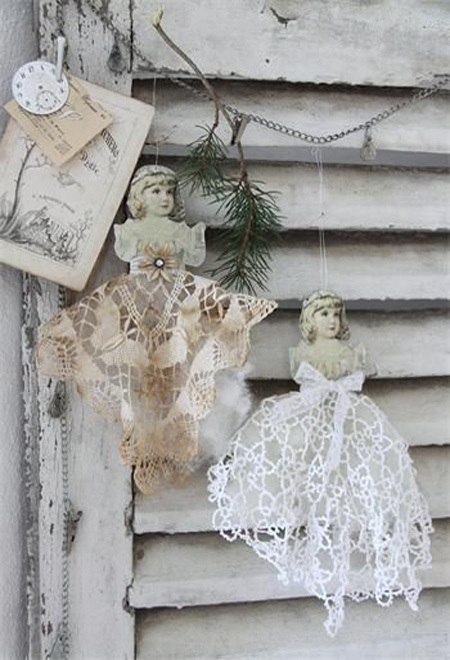 This DIY Christmas decoration is both shabby-chic and Victorian-inspired. The faux snowflakes make it even more beautiful. Here’s another mesmerizing Victorian Christmas tree decorations. This tree uses layers of Christmas lights, Christmas balls with gold tones and red poinsettia. 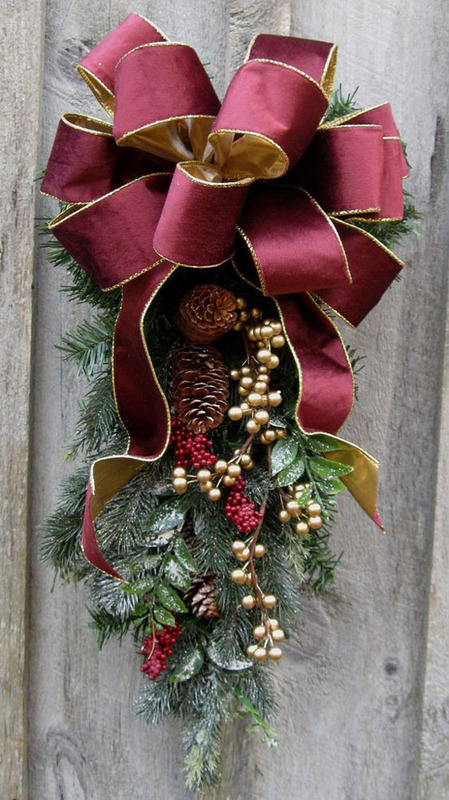 Christmas is all about festivity and jouyous celebration which makes this holiday wreath perfect for the occasion. 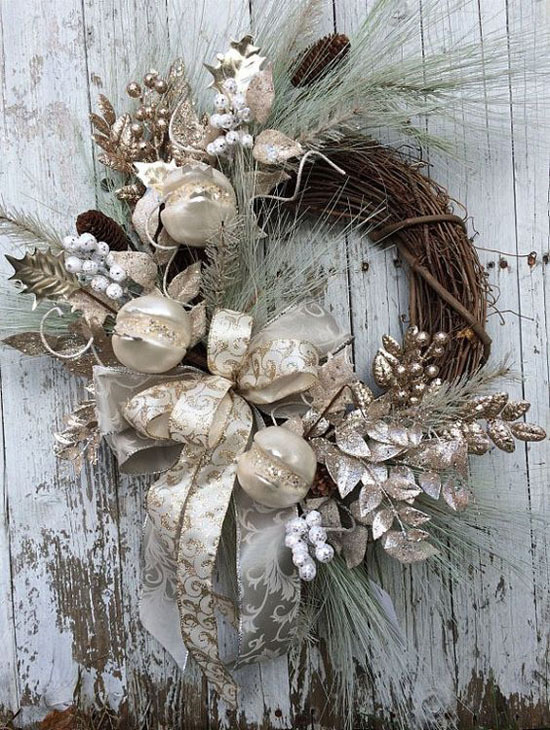 The silver, gold and brown colors in the wreath makes this one-of-a-kind. 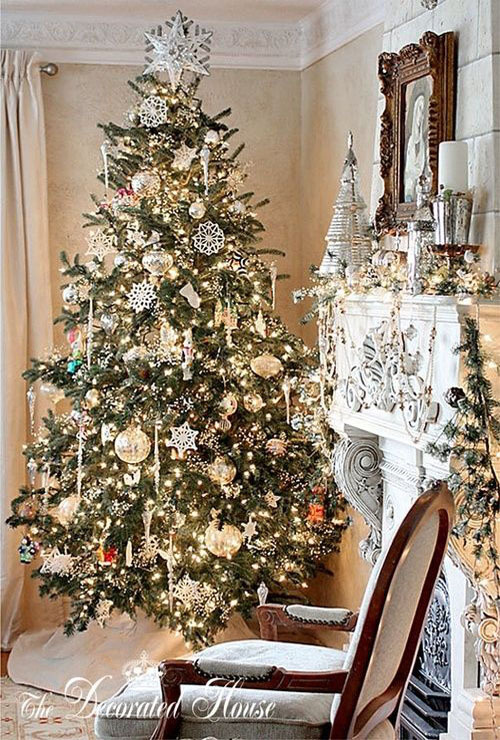 Here’s a gorgeous decorated Christmas tree, boasting tiny sparkling lights, glimmering Christmas balls and beautiful Christmas ornaments. 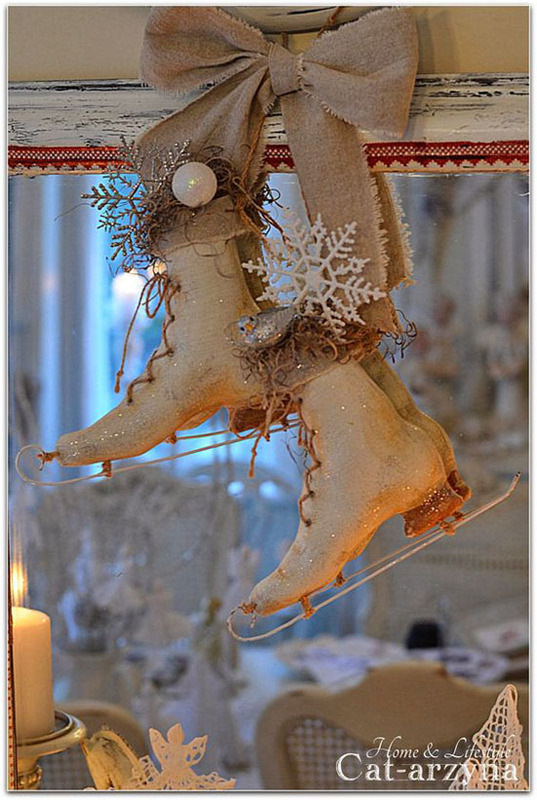 For those who want a Victorian-inspired Christmas decoration but on a tight budget, this one is for you. 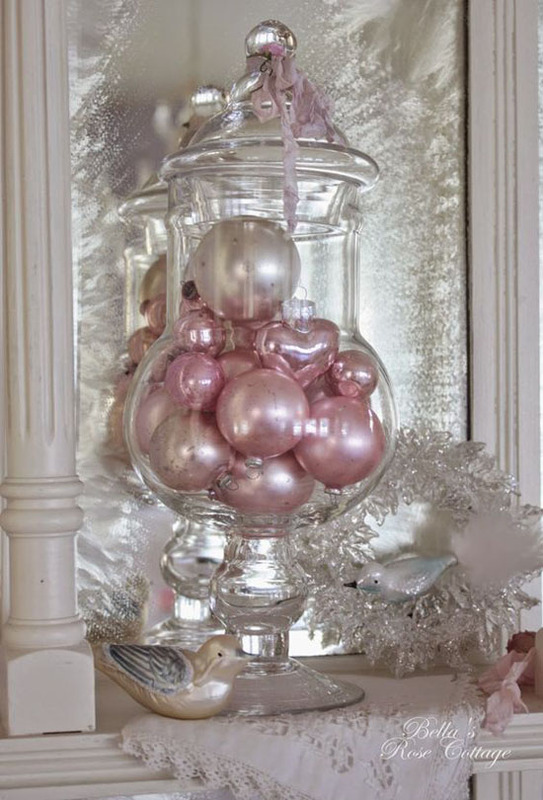 Get all those pink and pastel Christmas balls and put them in a clear glass and voila! 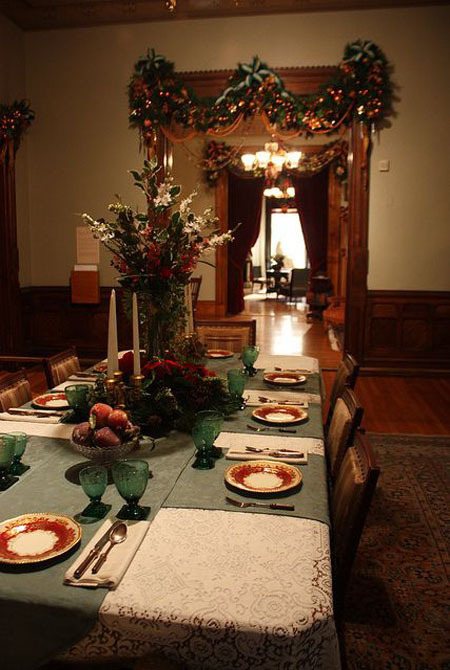 Turn to classic Christmas decorations and find inspiration for this Victorian Christmas decorations. 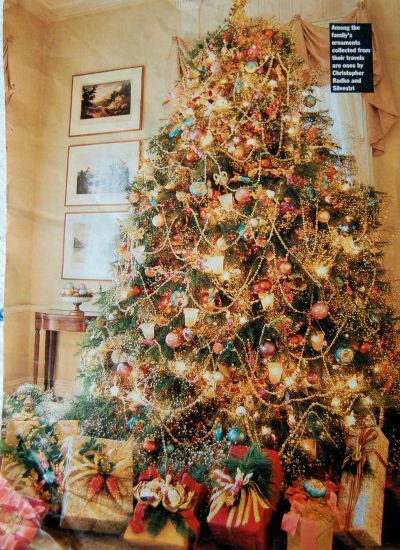 For a more classic look, opt for a real christmas tree and use gold red and green toned decorations. 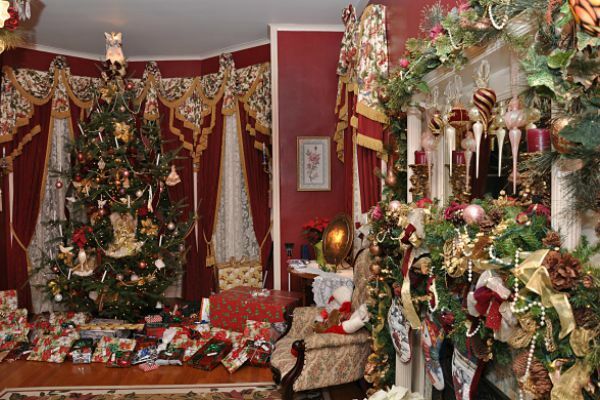 If you’re in the mood for some Victorian themed decoration which gives you the feel of the Era itself, look at this beautifully decorated Christmas tree and room. 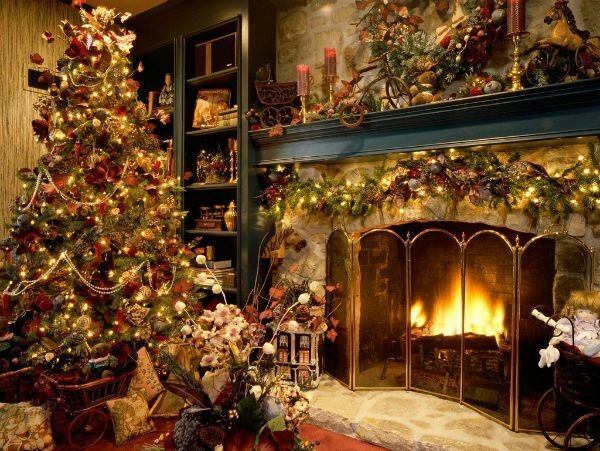 The Christmas tree is decorated with simple ornaments and lights and the Fireplace has been decorated with lots of green and golden decorative elements. If you’re not into exaggerated designs like the earlier one, see the one right above. The beautifully done decorations is simple. A large wreath with christmas decorative added and a large bow i used to decorate the wall. A small tabletop christmas tree is decorated with christmas balls, colorful ribbons and lights . You can use real foliage and flowers to decorate your home. In the Victorian era, these real flower and foliage garlands were used to decorate the whole house along with ribbons and candles. Decorate your christmas tree with ribbons too . 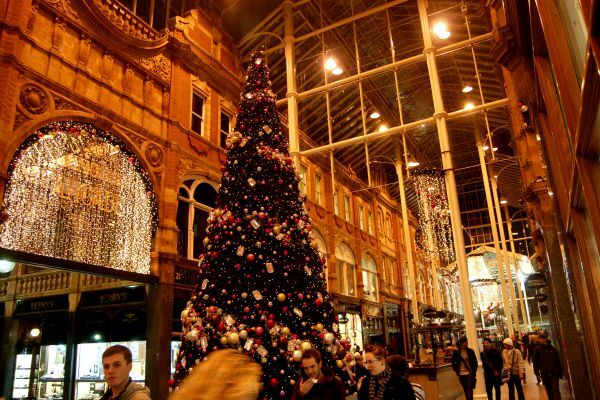 Real Christmas trees are becoming rare , as they cost more than artificial ones. 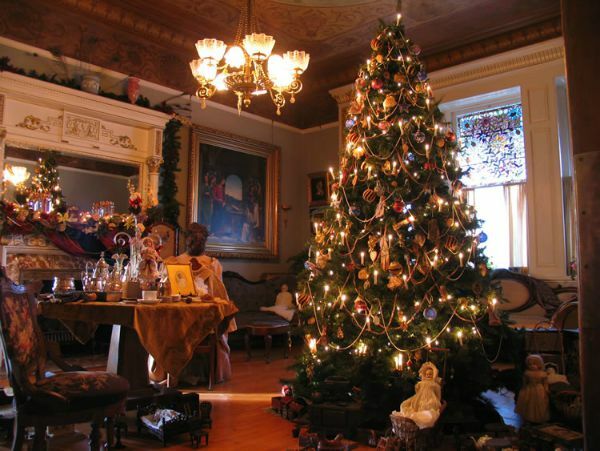 So get your Victorian Christmas Decorations to stand out with a large real christmas tree. 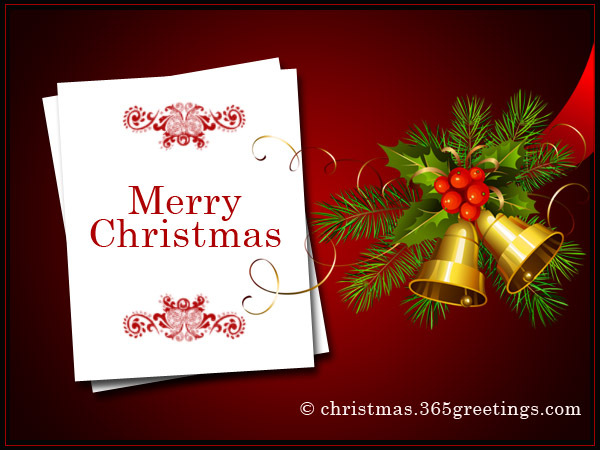 Hang red and golden themed christmas decorations. 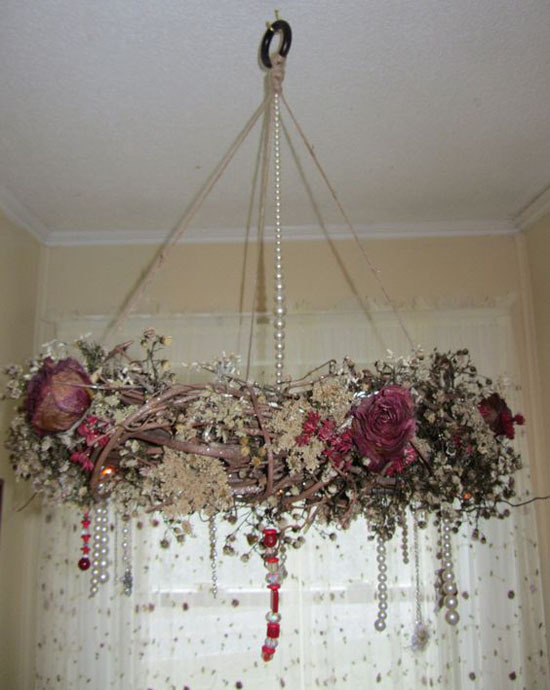 Add different christmas decorations in different shapes and hang them from the boughs. If simple decorations for your Christmas tree does not attract you, you can easily do a more dressed up look for your christmas tree. Your christmas tree can show your guests how much effort and time you have put into your decorations, so use beaded garlands, ribbons, christmas decorations, lights and a few wrapped up christmas presents as a finishing touch. 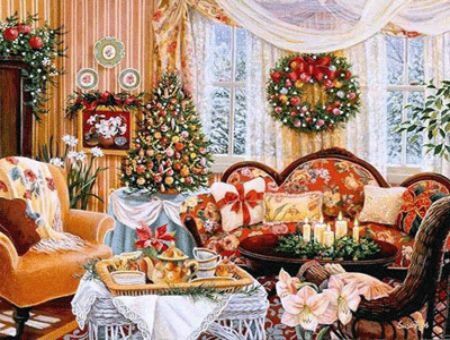 If you have a room or house designed in Retro Victorian decorations a real Christmas tree with candles as decoration will look great. 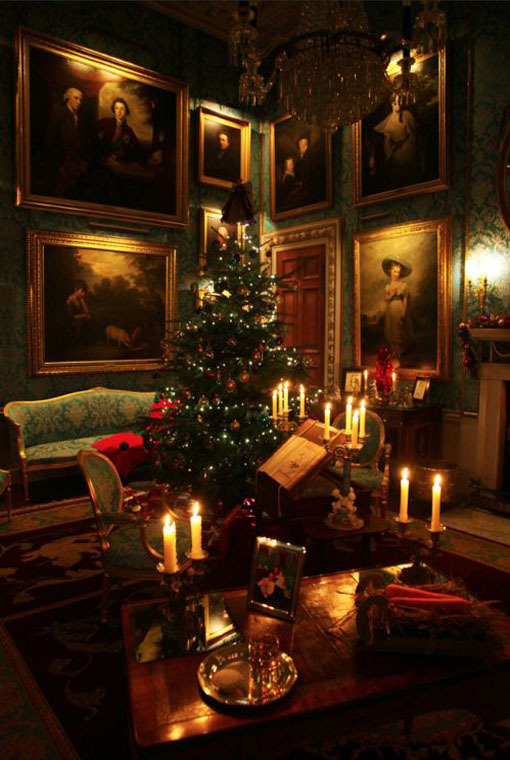 During the Victorian era there were no christmas Lights so they used candles to light up their tree. Don’t forget to add the candles after you’re done decorating the tree boughs with christmas decorations like Christmas balls etc . 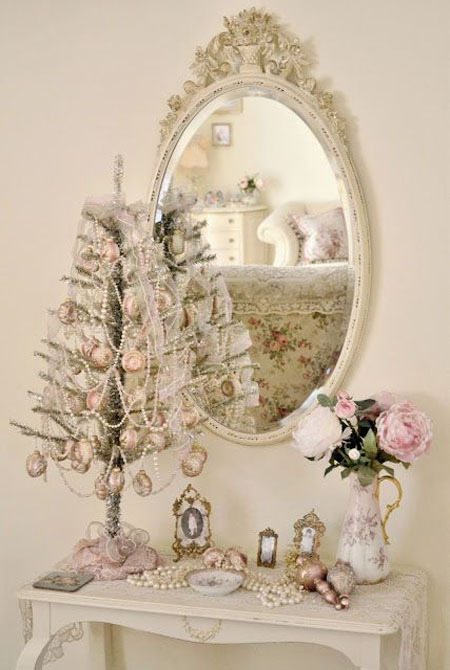 If you have a large drawing-room or a common place you can do this unique 2 christmas tree decoration that is stunning . Use foliage, bows and flowers to decorate the fireplace . 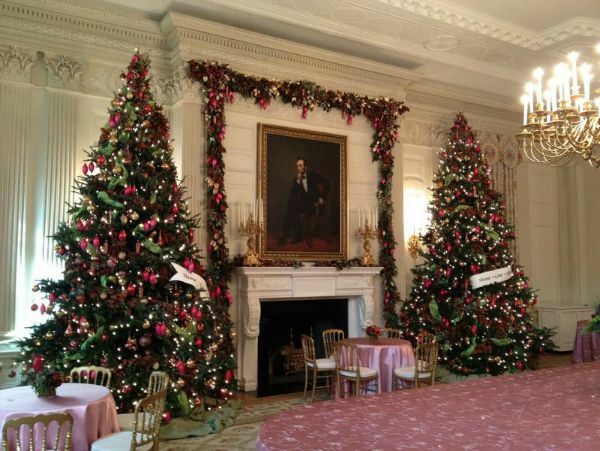 the Christmas trees can be decorated with simple red green and gold decoration and illuminate with candles. 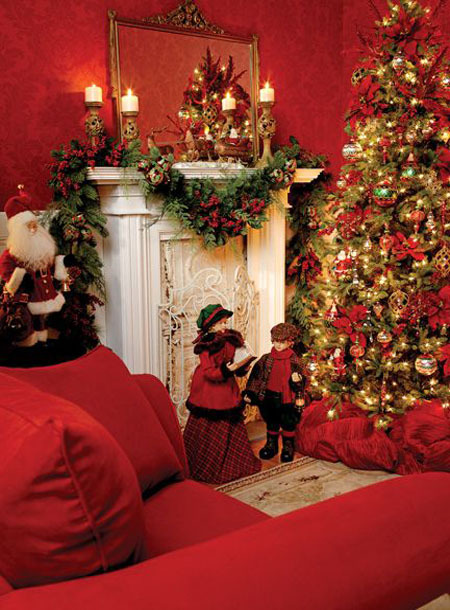 This extremely elegant red themed Victorian christmas theme is best for a romantic Christmas decoration. Set the centre table decoration with red roses and decorate the fireplace with small illuminated christmas trees , foliage and lots of lights. 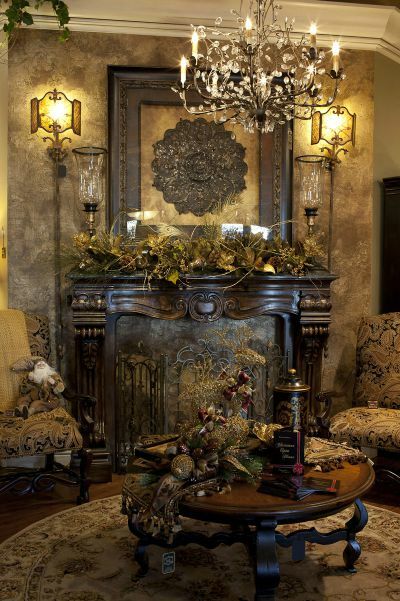 Modern fireplaces can be turned into a Victorian item with a few modification. Here the fireplace has been refurbished and given a very retro Victorian era look and feel. 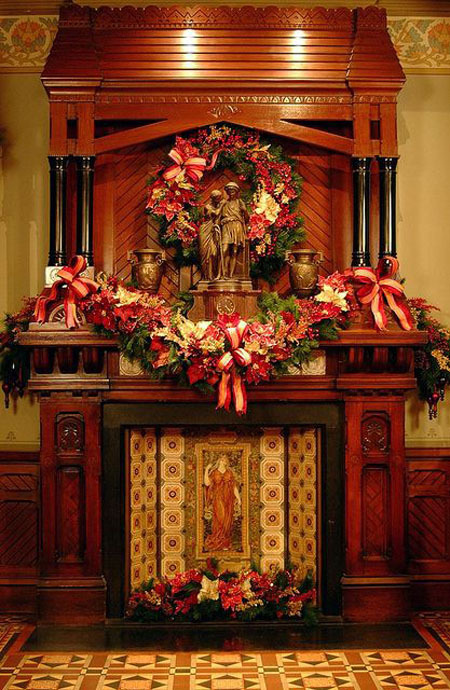 Flowers and foliage is used to decorate the splendid fireplace during christmas as part of te Victorian decoration theme for christmas. Create a Merry christmas feel for your home with a santa clause miniature , add some different size christmas trees, lots of lights and a vintage decoration for best effects. 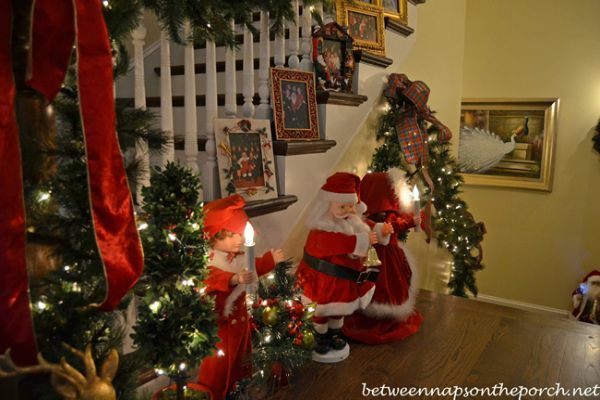 Use small christmas trees like these to make your christmas decoration stand out . 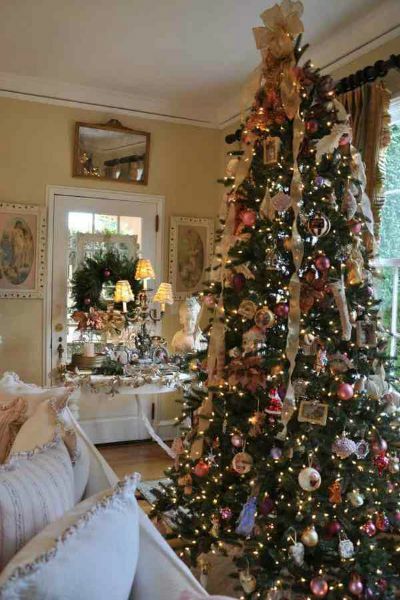 Use smaller christmas trees round the house or where the friend and family will probably spend the majority of time. 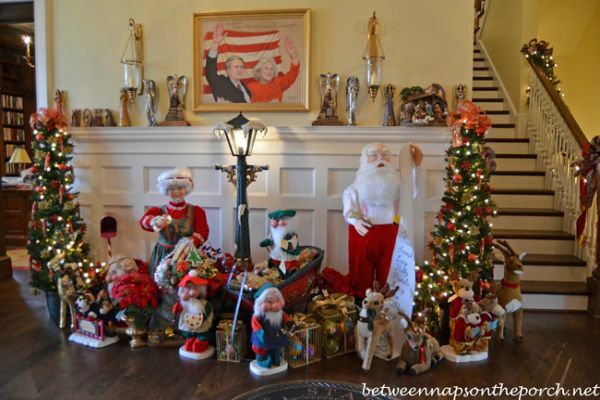 Decorate with dolls, stuffed toys and garden gnomes. A large christmas tree like this can easily be spotted at Malls and supermarkets. 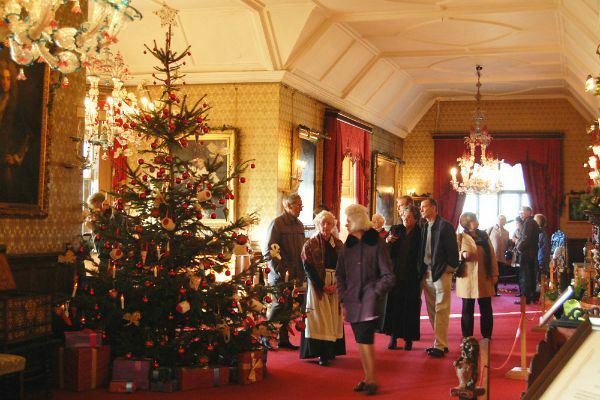 But if your community or school is decorating such a big tree, let them try Victorian christmas decorations. 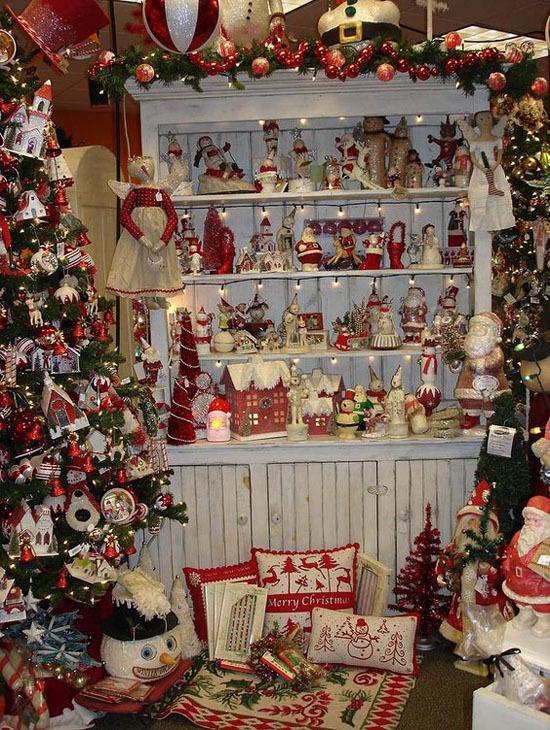 Use traditional themed decorations, mainly stressing on gold and red combinations , lots of lights, ribbons and other personal and attractive handmade decorations. 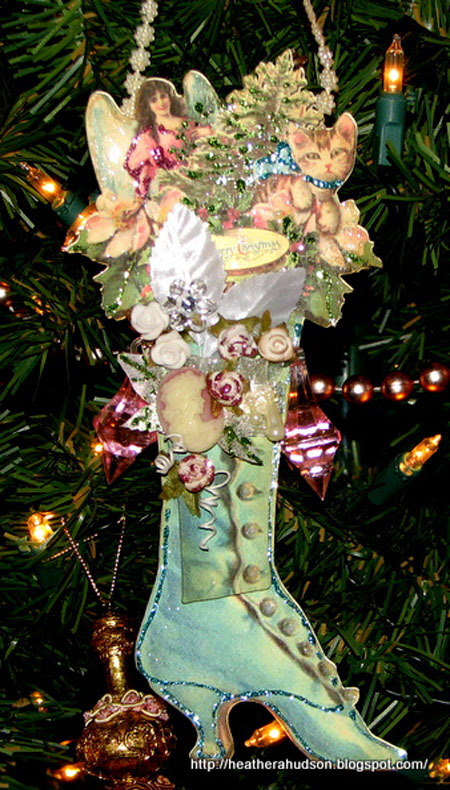 You can also dress up your christmas tree only in a Victorian decoration style with lots of simple handmade decorative elements. 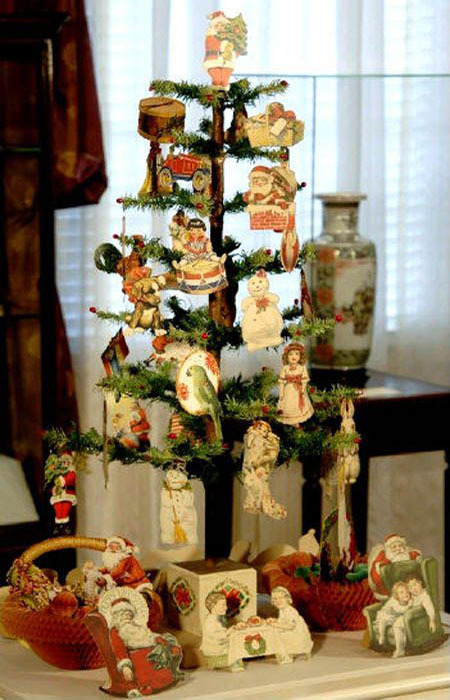 Add old pictures , ribbons, tulle ribbons , santa clause miniatures and angel miniatures to decorate the tree. 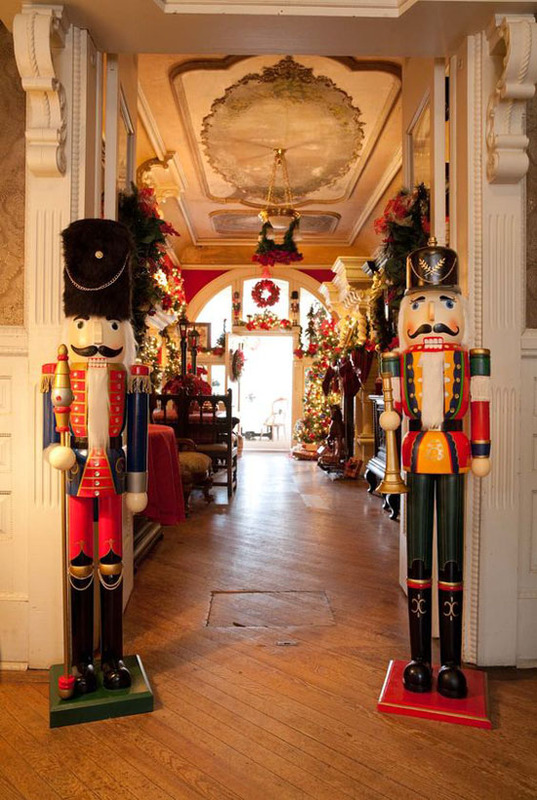 Star shaped ornaments and decorative elements are really popular choices for people who love traditional Victorian decorations. 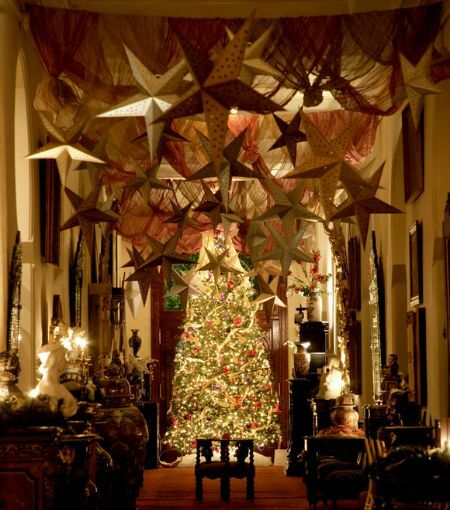 If you’re thinking of using paper decorations choose colorful or traditional themed star-shaped decorations that you can tie up from the ceiling. If you’re into the Retro mood, take inspiration from this lovely christmas tree which uses christmas lights as the major decorative element. The tree is lit with intertwined christmas lights around the tree with red bows and ribbons. The theme is simple and traditional gold and red. 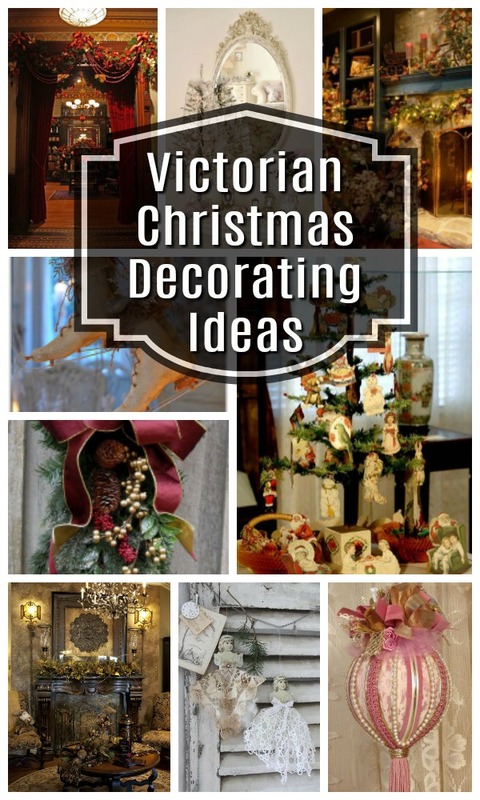 So now that you have got some inspiration for your Victorian Christmas decor ideas get moving and collect the items soon , and create a retro evergreen christmas decorations.